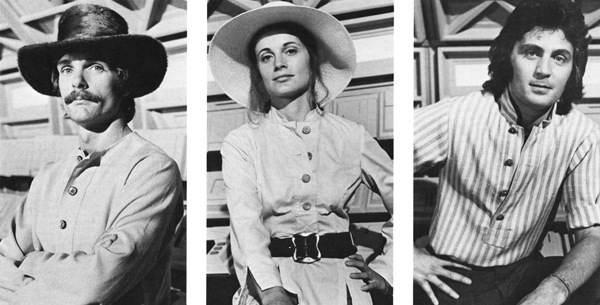 The Starlost… Quite possibly my favorite Science Fiction television series. Through a series of unfortunate events, which included a writer’s strike, a new revolutionary special effects system that ended up being a complete turd and getting scrapped, and Mr. Ellison becoming so disenfranchised with the whole thing that he insisted his screen credit be shown as “Cordwainer Bird” (his alternate registered pen name). Even Ben Bova was brought onboard as an advsisor and became so disgruntled in the project that he later wrote a novel entitled “The Starcrossed” about a scientist taken on as a science adviser for a terrible science fiction series. Wow, this thing didn’t have a chance. In any case, sixteen episodes were made, but the show was not to be picked up for more. 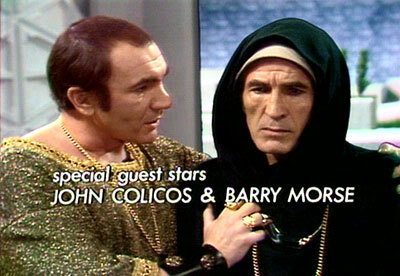 An all-star cast including Keir Dullea, Barry Morse, John Colicos, and even Walter Koenig couldn’t even raise this to a decent viewership. It was poorly received by both viewers and the science fiction community. 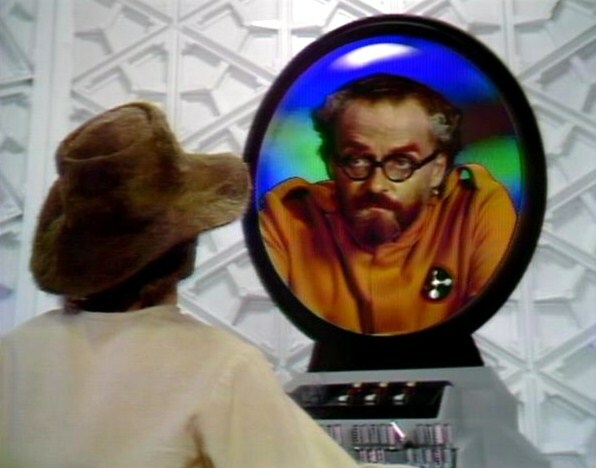 It’s been touted as among the worst science fiction shows of all time. Poor special effects, horrible acting (hell, most of the little known actors did a better job than the big names). One particular scene, Keir appears to forget his name (Devon) and there are long pauses as though the actors are “looking behind us now, into history-back”, trying to remember the next line. “In the year A.D. 2285, a catastrophe of galactic proportions threatened all Earth life with extinction (we are not able to find out what this catastrophe was as the information cylinder containing that information is missing). News of the catastrophe caused panic, riots. So the committee of scientists and philosophers set about selecting preservable elements of Earth life to seed other planets. In order to do this, the committee between the Earth and the moon had to build Earthship Ark. The most monumental construction ever taken by humans. An organic cluster of environmental domes called “biospheres”. Linked to each other through tubular corridors for life support, power, and communication. Into the biospheres went representative segments of the earth’s population. Three million souls in all. Whole separate ecologies, sealed from each other. Isolated to preserve their characteristics. Thus, Earthship Ark was launched on a long journey into deep space. It’s programmed destination – to seek out and find the solar system of a Class G star. I really find the show very quaint. I dig the old-school special effects (the lighting must have been brutal as the characters sweat rather profusely). Even the music seems to fit rather well. Yes, the acting could be better, the effects better, but there is simply an unknown “something” that appeals to me on a certain level. 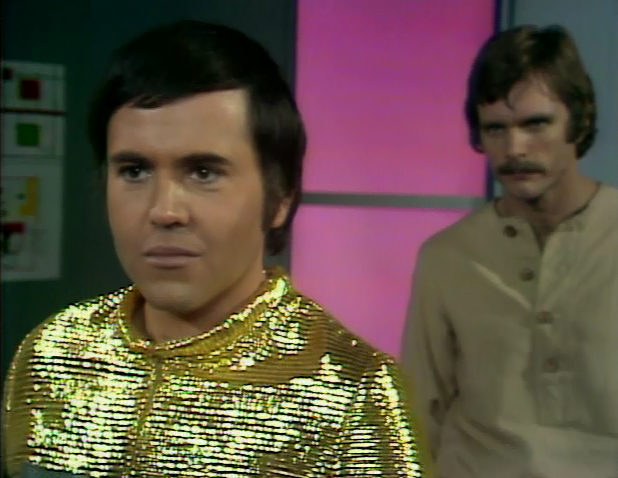 The real star of the show is the ship’s computer, played by Jim Barron. His voice is just fabulous and watching him trying to act “computery” is wonderful! For an excellent online resource for the series, I’d recommend heading over to http://www.snowcrest.net/fox/star.html. I also love this show. I saw part of one episode for a few minutes in 1973 or 74 when I was about 7 yrs old. I always wondered what it was I saw until I re-discovered it by accident. I love the show worts and all. I think a few of the episodes stand alone as just good 70’s sci-fi, but never do they live up to what it could have been if it was done correctly. I love the episodes that don’t work as well, just in a different sort of way. I would like that show even if I didn’t know the back story. With the back story, it is a wonderful example of how things can go wrong. It is worth watching if you like sci-fi, just don’t expect too much. I hear ya. It’s so difficult for me to say definitively why I like it so much. It just triggers a pleasure center in my brain for some reason and I guess that’s good enough for me. I was 10 years old when the series first ran on television. So, I loved it. Couldn’t wait for Friday night to arrive. I remember watching the episode “Mr. Smith of Manchester” while sitting in my pajamas and suffering from tonsillitis. As an adult, I can see what the criticism was all about. But now, I love it for the simple nostalgia of it. No, it is not a great show, but, I love it as well. I have a soft spot for this show too. 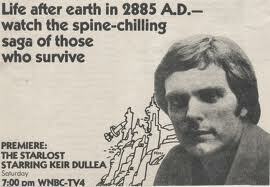 I remember my dad used to work for a local newspaper in Canada and prior to the new TV season, CTV (who broadcast The Starlost) gave the newspaper some promotional materials for the upcoming TV season. These were white folders with embossed pictures for each show. One of them was for The Starlost! I wish I still had that! 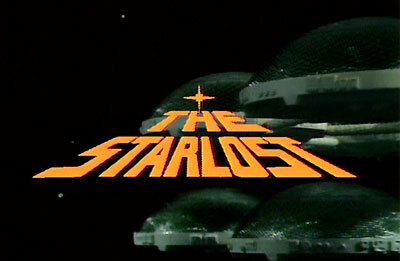 In the late 70’s, long after the show was cancelled, CTV used to broadcast the odd Starlost episode (I guess when they had nothing else to put on). 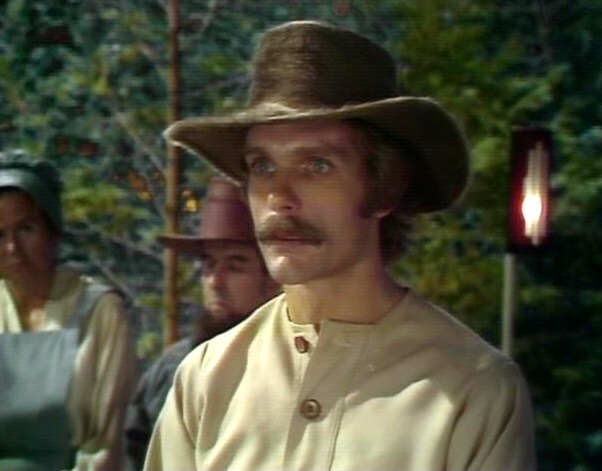 You’d be flipping through the channels and all of a sudden you’d see an episode, followed by another episode of another CTV classic “The Littlest Hobo” Years later, I downloaded some poor quality Starlost episodes that someone had the foresight to videotape when the show was on. I recently bought the entire series on DVD and despite the fact that it was filmed on video tape, they did a decent job re-mastering it to digital. The low quality special effects looked OK on TV’s back in the 70’s and they don’t stand up to the scrutiny of today’s big screen TV’s of today, but it’s still a great nostalgia trip to revisit the “Earth Ship Ark” from time to time. What a great story! Good to hear from another fan (I don’t think there’s many of us). I wish I could have seen it when it first aired. It definitely has that “something” that really appeals to me.